Mt. 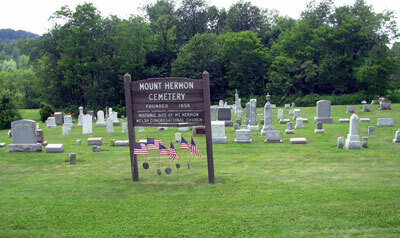 Hermon Cemetery was founded in 1858. From Rte. US-22, take Rte. 219 North. Turn left onto Colver Rd. The cemetery will be on the left side of the road close to the Cambria Township / East Carroll boundary line.